So what do I do in my SPARE time? I work on my vintage fashion doll magazine, of course! Yes, I’m a guy and I like dolls. That being said, I really like vintage Barbie and family dolls and am considered to be an expert on the subject – really! Almost more than the dolls themselves, I’m drawn to the fashions. And there are loads of fashion dolls other than Barbie, with weird, wild and wonderful wardrobes that are at times both fascinating and god-awful. But there’s just something about those mini fashion mannequins and their tiny shoes, gloves, purses and hats that I just can’t get enough of. 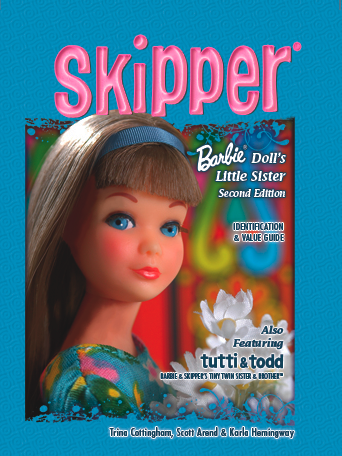 Now several years ago, the Barbie doll collecting market had a bit of a melt down and the collecting magazines went away. Hard-core vintage collectors (like me) have always missed them. There’s a crazy thrill or rush of excitement at seeing a gorgeous, mint condition doll in a pristine outfit that’s been beautifully photographed, especially when the subjects are hard-to-find examples. Call it doll crack or call it crazy, but when you’re into it, it’s awesome! So the fact that the publications I loved and wrote for were no longer around was always bugging me. 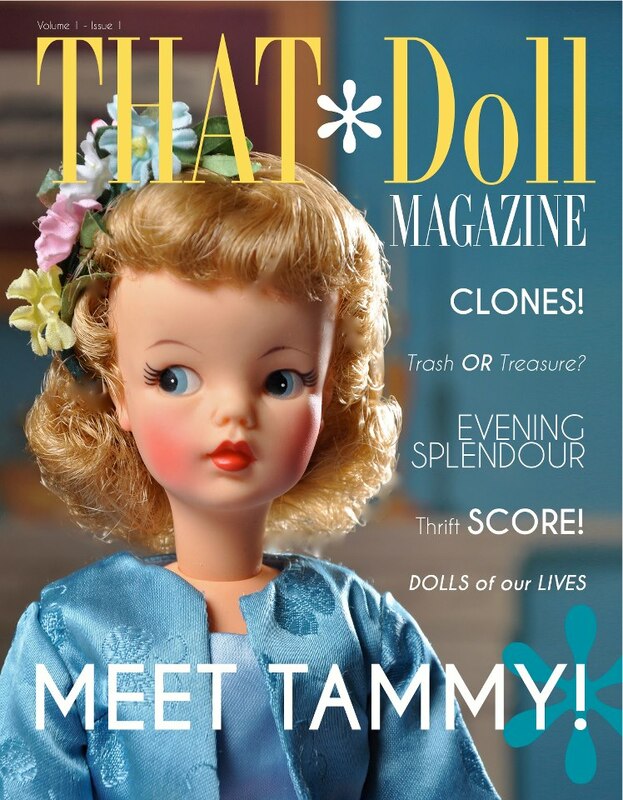 Premiere Issue – MEET TAMMY! Enter my friend Barry Sturgill. Barry is a Seattle area photographer who just happens to be one of the top toy photographers in the world, and he’s nuts about vintage Barbie dolls too. 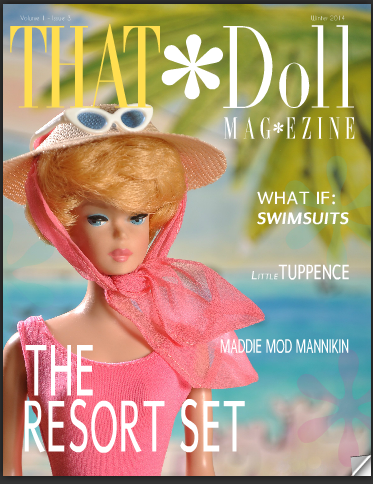 Well our little doll-lovin’ minds got together for lunch about a year and a half ago and decided we needed to bring back a magazine devoted to vintage fashion dolls in general, not just Barbie, but the whole enchilada. As we figured it, with all the technological progress in the last ten years, doing an online publication would be a snap, right? HA! Figuring we’d “just have to learn a little HTML” and be on our way, we dove into the project. And about three months later we realized we were way over our heads. Too much stuff that sounded sic-fi and well, technical, made our pretty artsy heads hurt, and we hired a tech-savvy design firm to help us make it a reality. We started tracking down obscure dolls, fashions and accessories. We found some knowledgable collectors who knew loads of stuff about dolls we were just vaguely familiar with, and our project started moving forward much faster. January 2013: our premiere, online issue is published! 68 pages chock full of Barry’s gorgeous photos and loads of vintage doll info to make a collector’s head spin: Ideal’s Tammy doll, vintage Barbie’s first evening ensembles, information on clone dolls (knock-offs made of the more expensive, brand-name toys, sometimes using pirated molds), obscure dolls like Bonnie Breck – this issue wasn’t just good, it was GREAT! 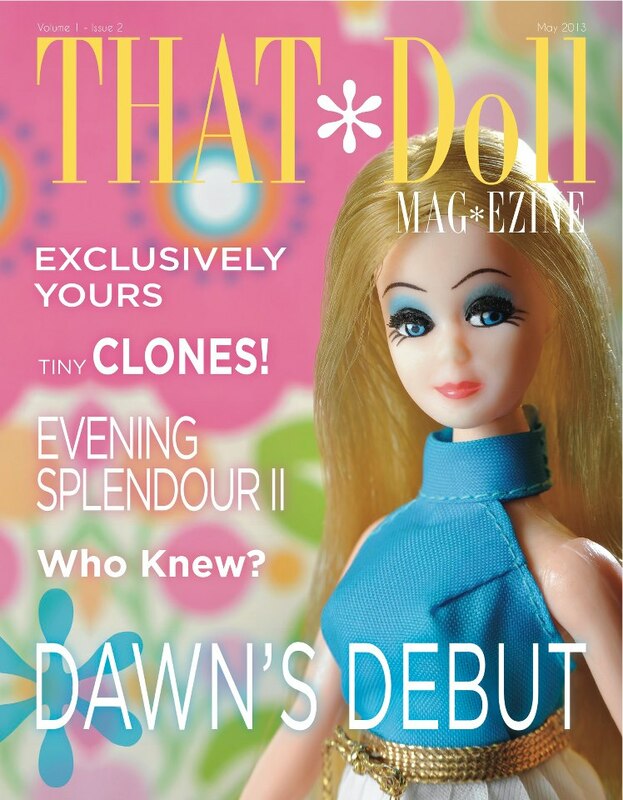 Our 2nd issue came out at the end of May featuring Dawn. A lot of people think my project – and me – are a bit weird, but I don’t really care about that. I’ve got a completed product that I’m really proud of and it does what I wanted it to do – entertain, educate, and get readers excited about toys we loved as kids. And even if we don’t get to hold them in our hands, we can still feel that same thrill we had walking through the toy department or ripping into a beautifully wrapped birthday or holiday gift bearing a tag with our name on it…FUN! And now we’ve got our 3rd issue out – we’ve “embraced” online marketing and social media (to the best of our abilities) and have a Twitter account, a Facebook page and even use MailChimp for our marketing and email updates – how’s that for creative-type-meets-the-interweb? Hey – even if you’re not into dolls, you might love seeing some gorgeous pictures and reading some humorous stuff about toys. It’s a mid-century vinyl love fest – check out or website and buy a copy – it’s just $5.99! Oh yeah – and it’s an online publication – we hope it will be in print soon, but right now you view it on your computer. This entry was posted on February 10, 2014 by scootrah. It was filed under childhood toy, mid century and was tagged with Allan, American Girl Barbie, Babs, Barbie, Barbie's Dream House, Bendleg Barbie, Betsy McCall, Big Jim, Brad, Captain Adventure, Christie, Color Magic Barbie, Cricket, Crissy, Deluxe Reading, Dusty, Fab Lu, fashion doll, FAshion Queen Barbie, Flatsies, Francie, GI Joe, Ginny, Glamour Misty, Growin' Pretty Hair Barbie, Hasbro, Ideal, Jem, Jem and the Holograms, Judy Littlechap, Julia, Kenner, Liddle Kiddles, Little Miss Revlon, Little Tuppence, Maddie Mod, Marx, Mattel, Maxi, Midge, Muffie, Pepper, Peteena, PJ, Ponytail Barbie, Randy, Regal Toys, Remco, Shillman, Shindana, Sindy, Skipper, Stacey, Steffie, Talking Barbie, Tammy, the Misfits, TNT, Todd, Topper Toys, Tressy, Tuesday Taylor, Tutti, Velvet.